ANIMALS MAKE GREAT EMOTIONAL BRANDING. ‘Never work with animals or children’ said American actor and comedian W C Fields. But the bond between animals and humans can generate powerful emotional branding. When it comes to building emotionally driven branding, animals can help tug at heartstrings in a powerful way. Cartoon animals in particular, such as Churchill Insurance’s nodding dog or Purina’s black and white cat Felix can yield exceptional returns on brand investment if the message and creative work is done properly. It’s a shame that many companies fail to use emotional connections with animals in the right way. But the worst has to be charities (not-for-profits for you readers in the USA). Having consulted for various charitable organisations over the years, it seems their understanding of how emotions – and subsequent feelings – are aroused is pretty weak at the best of times. Whether it’s homelessness, hunger, animal cruelty, persecution and abuse, the focus always emphasises the negative aspects of the cause they are raising funds to help eliminate. Now, there are times when the ‘fear factor’ of a negative approach can be a strong element of successful branding, depending on the context. 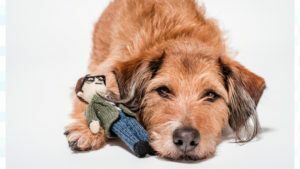 But studies show that positive associations are more likely to generate a longer-lasting favourable attitude towards the brand – and animals can play a big part in successful brand campaigns. So how do you create a successful brand campaign using animals? Well, one not-for-profit has set the bar for the rest. The advert for Dogs Trust in the UK, launched in February of this year but still running, is a perfect example of creating a powerful emotion. First, it has a single objective: to raise awareness of rescue dogs. Second, to show the emotional bond that can take place between the dog and its new owner. Third, to give a clear call to action: visit a Dogs Trust centre and change a rescue dog’s life forever. Unlike typical negative approaches showing footage of abused dogs, they have done it differently. Every scene is one of a positive nature. The dog is shown being trained, washed, and lovingly cared for by Dogs Trust staff, all the while featuring this little doll of a man wearing spectacles. And wouldn’t you know, someone arrives to take the dog home as his new pet…and he looks pretty similar to the doll the dog has grown to love. You can watch the advert here or just click on the image. Marketing people who are usually clueless about anything to do with the unconscious mind and how it works may cite it as being ‘formulaic’. Well, that’s a good thing, if the formula works. Let’s look at a similar approach for the Budweiser Clydesdales. They are a group of famous horses bred and owned by the makers of Budweiser beer, the Anheuser-Busch Brewing Company. For the last few years, the adverts have showed their horses in various situations, many of them featuring other animals like dogs and donkeys too. 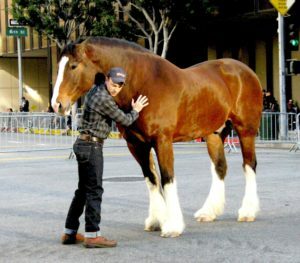 In 2013, their Superbowl commercial highlighted a Clydesdale foal that establishes a relationship with its breeder. Eventually the now fully-grown horse leaves to become one of the special Clydesdale horses to pull the hitch in a parade watched by a cheering crowd. The breeder is amongst the onlookers, and the horse sees him. When the parade is over and he leaves, the horse gallops down the road to meet with him. Take a look at the advert here (or click on the image). Incidentally, as you’ll have noticed, both the Dogs Trust and Budweiser ads are accompanied by relevant music. After all, why rely on just one of our senses (the visual sense) when the audio sense can add an even greater dimension to emotional arousal? After becoming a psychotherapist, my whole understanding of how people think changed. I’ve used that understanding to write an international best-selling book and become a sought-after marketing and brand consultant. Do you get the above adverts? Do you understand what’s happening in them? Can you identify the dynamics that are leading up to the emotional selling proposition – something totally missing in most marketing and branding campaigns? If the answer is ‘yes’, then congratulations. But if the answer is ‘no’, then you need to contact me, before your competitors do. That may seem like a negative approach on my part – based on FOMO: the ‘Fear Of Missing Out’. But just think of the positive outcome you’ll get if we work together. And keep that top of mind. PS In case anyone is intent on sending me hate mail for condoning animal exploitation, let me make it clear that I do not approve of, or support, any situation where an animal is made to perform unnaturally, subjected to abusive training methods or forced to endure psychological stress and anxiety. Cartoons, puppets and digitally-generated animals can work just as well as using live animals. For some information on guidelines for using animals in advertising (UK), check this out: https://www.asa.org.uk/News-resources/Media-Centre/2013/Paws-for-thought.